Mandarin Chinese is the most spoken language in the world. With over a billion speakers worldwide, the language continues to soar in global popularity. 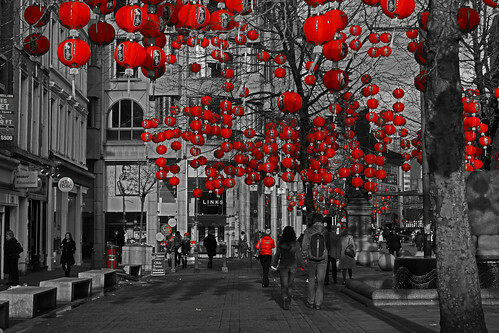 In fact, Mandarin Chinese is slated to be the primary language taught at a new center in London. According to Education Minister Elizabeth Truss, the upcoming “center of excellence” will employ Mandarin speaking teachers to help British youth learn this fascinating and expanding language. The agreement with leading educational institutes in China will also train non-Mandarin speaking instructors in the UK as well. While there are currently 300 Mandarin speaking teachers across London, this new agreement will double that count to 600 by the end of the year. Now it is the time to learn Chinese. If you have always wanted to learn Chinese, now is the perfect time to tap into a wealth of opportunities. Along with GCSE language courses , Mandarin Chinese will also be taught at after school centers across the nation. This not only expands multiculturalism in the UK, it will also help students maintain a competitive edge in this challenging and diverse global marketplace. In fact, Elizabeth Truss believes this is a vital step in helping England’s youth compete for international jobs and positions. It will also help them learn about the Chinese culture, while expanding their educational capacities and horizons. This coincides with a recent Forbes articles that reiterates the importance of learning second languages in both the educational and business realms. What the future of language learning is holding for you. While the British PM would like to see scores of domestic Mandarin speakers by 2020, Katharine Carruthers is also championing this linguistic cause across the UK. As the Director of the Institute of Education, she has always stressed the importance of learning Chinese for students and commercial entities. With Hanban providing financial and logistical support for the new language center London, Carruthers is simply ecstatic. In fact, she believes this will lead to more GCSE language courses with a strong emphasis on French and Mandarin Chinese. In a nutshell, learning this important language will truly boost careers and business opportunities.